After much procrastination, I finally spent a small bomb on Harmony Gelish! Will blog other it another time after I’m done with the colour plates and all.. 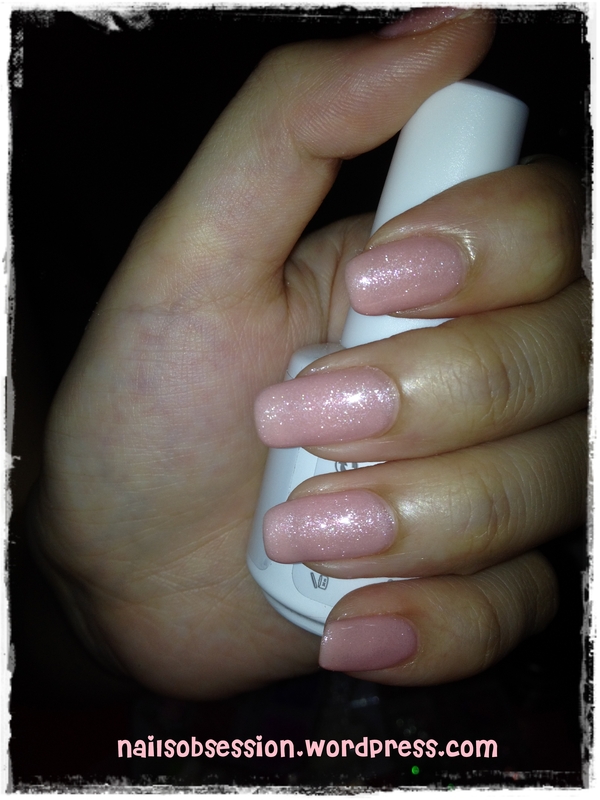 Anyway, tried on Gelish for Joleen and we’re both amazed at the easy application and result! 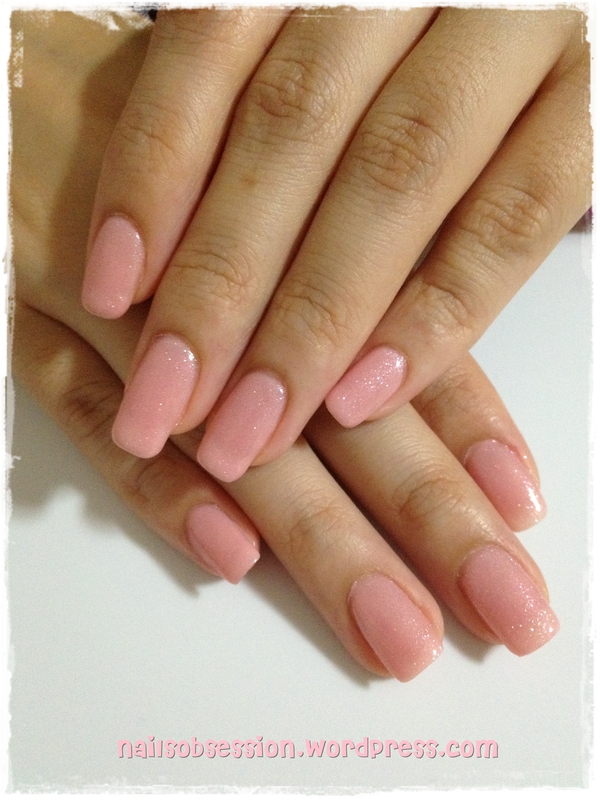 Here is a pic after 3 coats of Artistic gel, the coat was a lil sheer hence we gotta add on another 3rd coat. Colour true to this picture without flash! Isn’t this colour sweet? (: I love it! ♥ After a small discussion we decided to do something Victorian style (similar to what I did for Litian here), so we had on big pearls on her ring finger and thumb. 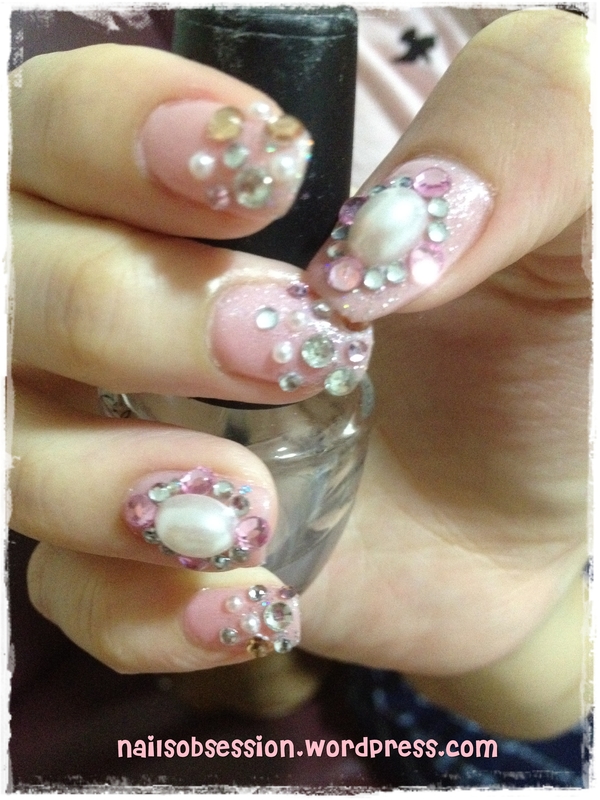 Glitter gradient on the rest, topped off with crystals and pearls which will be shown in the next few pics! With flash. Added in the pearls and crystals. So pretty! ♥ Only remembered to take photo of her nails when I’m doing her toenails! We shifted place hence the picture was blur due to bad lighting.. Did a simple pedi with normal polish for her, lined in V-shaped crystals. With flash. Close-up. 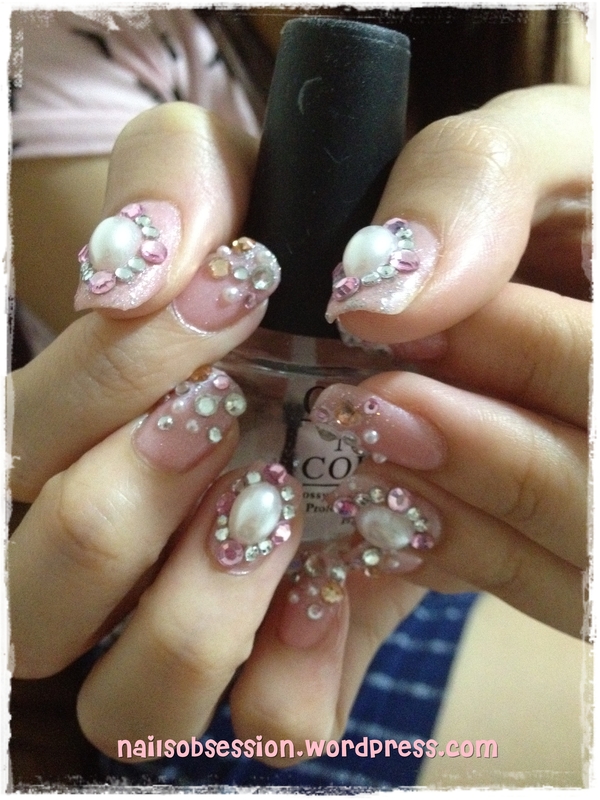 Last pic of her bridal nails! Very simple design but aren’t they pretty?? !